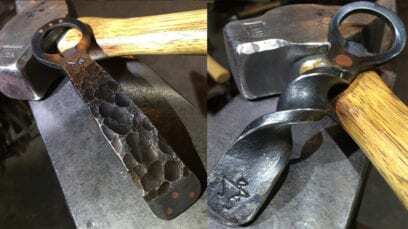 The bottle openers that Jared Schmid of JAS Metalworks forges from mild steel have an old-school, blue-collar feel to them. Whether opening a yard beer or a craft beer bomber, Schmid’s openers hark back to a time when working with tools was more commonplace. Schmid, who formerly worked at Boulevard Brewing for 10 years in quality control and food safety, made his first bottle opener just over a year ago out of an old wrench. “It still hangs on the wall in my shop,” Schmid said. After viewing a YouTube video on handmade bottle openers, Schmid decided he could make his own version. His openers have a light heft to them like a trusted pipe wrench pulled from a toolbox. Each bottle opener varies in style with different surface textures and design features. Creating an opener from scratch takes an hour or more from forging to clean-up and finishing. As 2017 draws to a close, the year has been filled with craft brewing news, debuts, and activity. Here’s a look back at some of the notable developments. Kansas City area breweries embraced canning beer. Rock & Run Brewery and Pub (110 E. Kansas St., Liberty, Missouri) released its first canned beer, installed a new brew house system in their original location, and took steps to secure space in Liberty for a new production facility. Boulevard Brewing (2501 Southwest Blvd.) broke ground on a major expansion for a new canning line. Crane Brewing (6515 Railroad St., Raytown, Missouri) installed a new packaging line. Kansas City’s craft beer community also lost a familiar face: John Bryan. KC got a host of new beer spots. 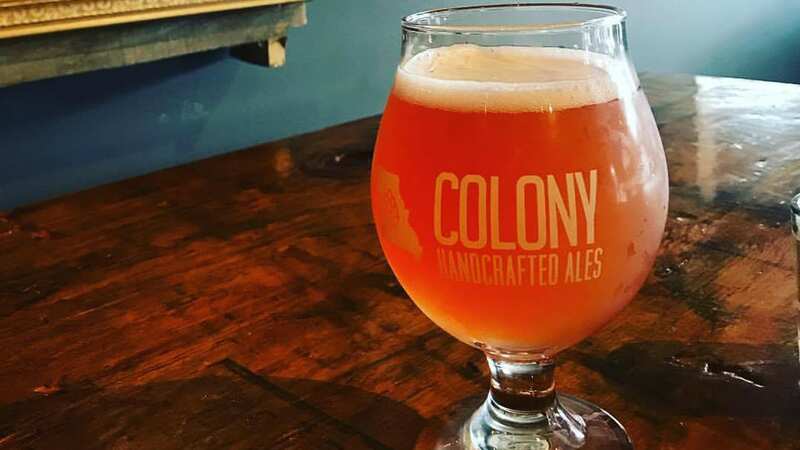 Colony Handcrafted Ales (312 Armour Road, North Kansas City, Missouri) began brewing and serving its own beer. Brew Lab (7925 Marty St., Overland Park, Kansas) opened its own brewery. Other new breweries include Lawrence Beer Company (826 Pennsylvania St., Lawrence, Kansas), Wakarusa Brewing (710 Main St., Eudora, Kansas), BKS Artisan Ales (633 E. 63rd St., #120), Smoke Brewing Company (209 SE Main St., Lee’s Summit, Missouri) and Fringe Beerworks (224 SE Douglas St., Lee’s Summit, Missouri). The Kansas City Cider Company also opened in St. Joseph, Missouri. New craft beer taprooms opened, including Draftcade (7250 NW 87th St.), Tapcade NKC (1735 Swift Ave., North Kansas City, Missouri), and International Tap House (1801 Oak). Forthcoming breweries in 2018 include Callsign Brewing (1447 Gentry St., North Kansas City, Missouri), East Forty Brewing (1201 W. Main St., Blue Springs, Missouri), New Axiom Brewing Company (949 NE Columbus St., Lee’s Summit, Missouri), Strange Days Brewing Company (316 Oak St.), Casual Animal Brewing (1725 McGee), Limitless Brewing, Fields & Ivy Brewery (706 E. 23rd St., Lawrence, Kansas), and Kansas City Breweries Company. Miami Creek Brewing Company (14226 NW County Road 14001, Drexel, Missouri) is looking to expand in 2018 and potentially serve cider and mead. 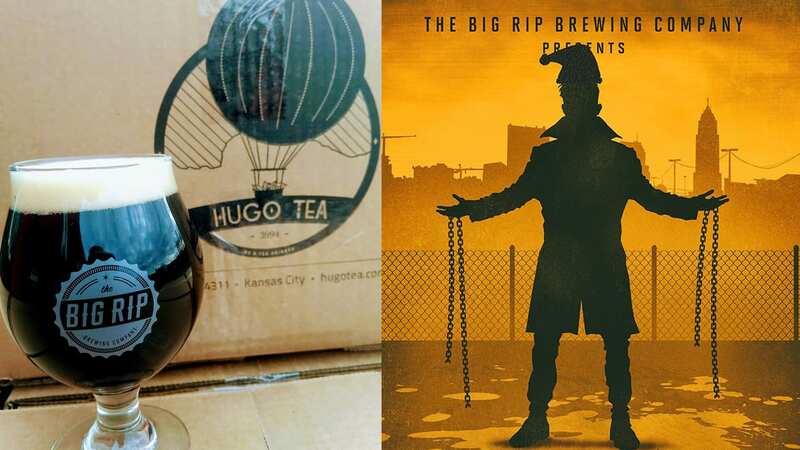 The Big Rip Brewing Company (216 E. Ninth Ave., North Kansas City, Missouri) has bottles of Forgetful River Pale Ale, Six Demon Bag Sour Brown, and Imperial Milk Stout at the taproom while supplies last. Look for additional bottle releases on Dec. 24 of O.R.C., Bacta Imperial Chai Brown Ale, Scotchlander Barrel Aged, and a mystery beer. Kansas City Bier Co. (310 W. 79th St. taps its Triple Decocted Doppelbock, a rare German-style bier. From 4 to 6 p.m., author Pete Dulin (“Expedition of Thirst,” “Kansas City Beer”) signs and sells his books. Get a souvenir glass with book purchase. The brewery will also host a masskrugstemmen, or beer stein-holding, contest at 5 p.m. Winners receive $20 KCBC gift cards. HopCat (401 Westport Road) loads up on Dogfish Head IPAs for a holiday tap takeover. Clock time with 120 Minute IPA, 90 Minute IPA, 61 Minute IPA with Syrah grape must, Flesh & Blood IPA with lemon flesh and blood orange peel, and Liquid Truth Serum. Also, the taproom hosts a four-course beer pairing dinner ($50) that highlights Dogfish Head beers. Smoked sausage and chicken gumbo served with dirty rice and paired with aged Palo Santo Marron brown ale hints at the goodness that awaits. Grain to Glass (1611 Swift St., N0rth Kansas City, Missouri) hosts a Kansas City Bier Company beer sampling and educational meet and greet with KCBC level-two beer sommelier Nathan Schriner from 5 to 7 p.m. Schriner discusses the details of the brewery’s Triple Decocted Doppelbock and will have other KCBC samples. Cinder Block Brewery (110 E. 18th Ave., North Kansas City, Missouri) releases a New England-style IPA (5.4-percent ABV, 23 IBU) at 4 p.m. In addition to a hazy appearance true to style, anticipate big, juicy flavors of fruit, melon and citrus with a silky mouthfeel. Grain to Glass invites guests and their coworkers to enjoy a festive Office Party from 5 to 8 p.m. Enjoy seasonal beers on tap and special holiday cocktails. Wear ugly sweaters, exchange gifts and have a good time outside of the office. Prairie Artisan Ales bomb series is getting a showcase at Barley’s Kitchen + Tap (11924 W. 119th St., Overland Park, Kansas). The taproom will have Vanilla Bomb, Cocoa Bomb, Coffee Bomb, Chili Bomb, and a bottle release from Prairie’s limited barrel aged program. Craft beer tourists have a ready-made Kansas City Tap Tour set at BLVD Tours & Rec Center (2534 Madison Ave.) and 18 other breweries. Visit KC has created this passport-driven brewery tour. Get a $7 guidebook for drink deals and start collecting stamps through May 31 for participating breweries. McCoy’s Public House (4057 Pennsylvania Ave.) releases Ursa Major Russian Imperial Stout at 4 p.m. This sought-after beer is available for $10 (includes commemorative glass) or in bottles ($18, only available at McCoy’s). Past vintages available include 2015 & 2016 Ursa Major. Line up early at McCoy’s, where tickets for bottles will be handed at starting at 3:30 p.m. Bottle limit is two per person. Ursa Major will also be on draft next door at The Foundry. The Taproom at Crane Brewing (6515 Railroad St., Raytown, Missouri) hosts its 2nd Annual Ugly Sweater Holiday Party and special beer tapping. Cinder Block Brewery sponsors Paint the Pint Night at Tapcade (1701 McGee St., Ste. 200) at 7 p.m. Event includes a logo Cinder Block pint glass, painting lesson from a local artist, a choice of two different paintings, and a Cinder Block beer. This week’s Thursday Tastings series ($15) at Grain to Glass focuses on solstice, wild and herbal beers. Explore five beer styles and discuss the breweries from 5 to 7 p.m.
At Boulevard X-mas Comes Early II from 3 to 9 p.m., Bier Station (120 E. Gregory Blvd) welcomes Boulevard Brewing with a complete tap takeover, featuring many of Boulevard’s most sought-after beers. Also, author Pete Dulin has a pop-up book signing. For Rare Beer Night, Flying Saucer Kansas City (101 E. 13th St.) will pour deconstructed flights of Bell’s Black Note (10.8-percent ABV), a complex stout made with a blend of Expedition stout and Double Cream Stout. The blend is placed in oak bourbon barrels and allowed to age for several months. The velvety texture accompanies a bold bourbon aroma and smooth chocolate, espresso and dried fruit flavors. Flying Saucer creates a flight with the beer’s components: Double Cream Stout, Expedition Stout, a shot of 4 Roses Bourbon, and Black Note. Roughtail Brewing, based in Oklahoma City, Oklahoma, has built a buzz around Kansas City for beers such as Everything Rhymes With Orange (ERWO) IPA. Taste ERWO and other Roughtail beers at Rimann Liquors (15117 W. 87th Street Parkway, Lenexa, Kansas). 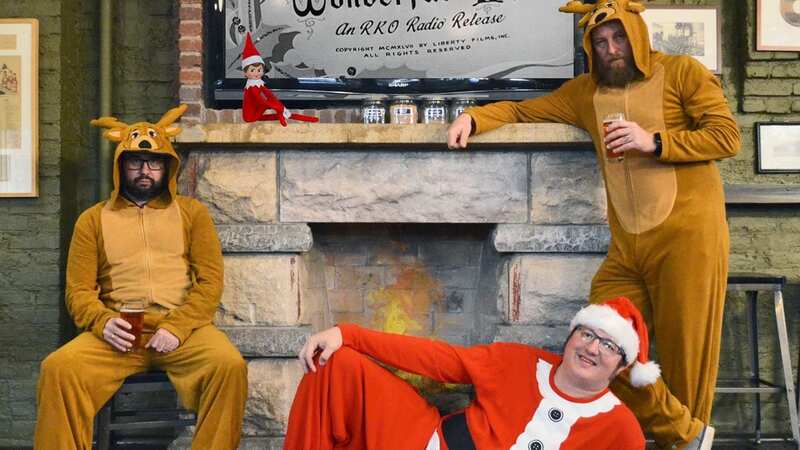 Llywelyn’s Pub (301 SE Douglas St., Lees Summit, Missouri) invites ugly sweater owners to wear them to the Kansas City Bier Company tap invasion from 7 to 9 p.m. Dance to live music by the Stolen Winnebagos, drink $3.50 pints of KC Bier’s Dunkel, Helles, Gose and a seasonal, and score merchandise. KC Bier Company (310 W. 79th St.) closes at 4 p.m. The Big Rip Brewing Company (216 E. Ninth Ave., North Kansas City, Missouri) opens at 8 a.m. and closes at noon. Whatever Happened to Cake Box…And Those Other Restaurants?